Steven (Chicagoland, United States) on 24 December 2010 in Architecture and Portfolio. A capture of the altar and surrounding area as captured from the side aisle. On the left just beyond the five steps is the Shrine of the Blessed Sacrament. Toward the center the altar and hanging crucifix is visible. Behind the altar, on the walls of the apse, are panels depicting the life of Christ. To the right of the altar is the chancel area, including a second sanctuary organ comprised of 1,284 pipes and two keyboards. Photo captured December 17, 2010. Tu as fait une très belle série de photos dans cette église, superbe travail sur les couleurs. Have a lovely Christmas time Steven, all the best for you ! This has a good perspective and view, and the series is turning out to be one of your very best. Have a good Christmas Day! 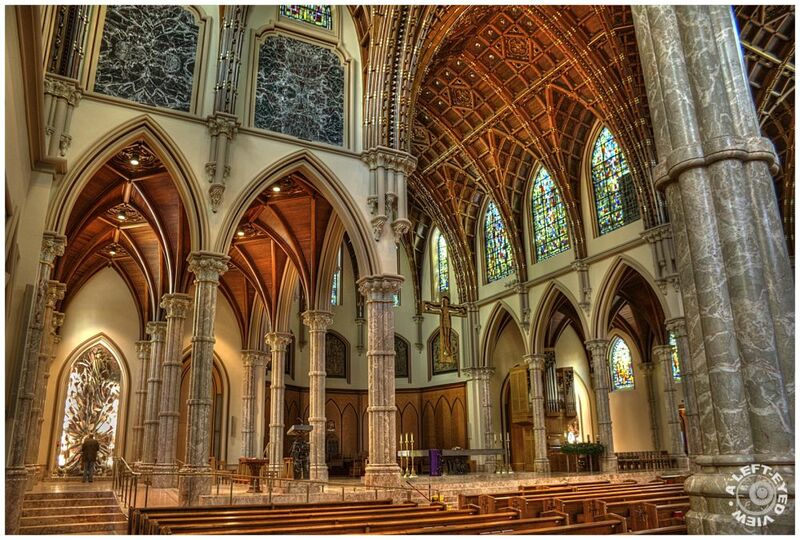 Your shots of this cathedral are so extraordinary! I can`t get enough! I haven`t seen anything perfect like that! Have a very Merry Christmas ! All of these interior shots amaze! A wonderful Christmas to you and your family! Stunning shot, so rich in detail! Well chosen point of view, too! Beautiful . . perfect any time of year but especially now. Wishing You and Yours a Lovely Christmas, Steven. Just fantastic and perfect for the day. Merry Christmas Steven!